You have different options for Export data. You need to monitor your keywords over a month or over a three-month period that to know the situation. It's important to know which keywords you should continue using and which keywords you should delete. 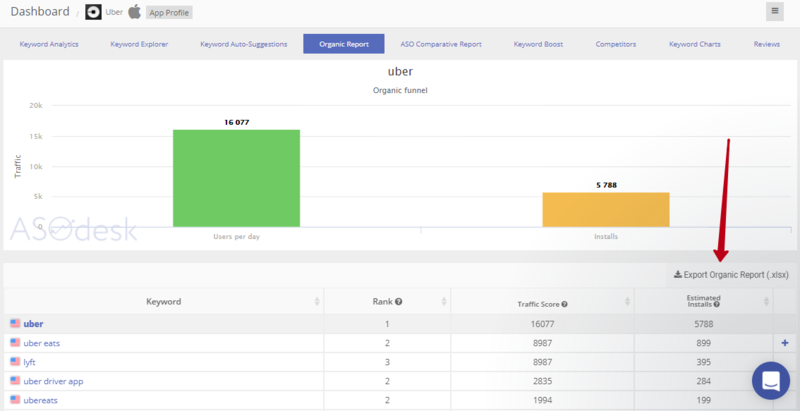 If you click the button "Export stats", you will get the report of all your keywords, Users per Day, a rank, the Search Ads, the Total Apps over a three-month period. You will see the Excel document with the report. Open and look all dates of your application. 2) Export data from Organic Report. If you click the button "Export Organic Report", you will get data of your application. 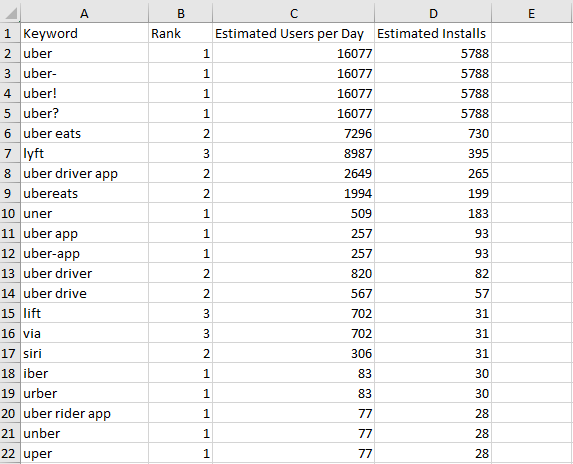 There is a rank, Users per Day, the Estimated Installs in the report at the moment. Open and get the information about your app's data. 3) Do "Export reviews" from the tab "Reviews". 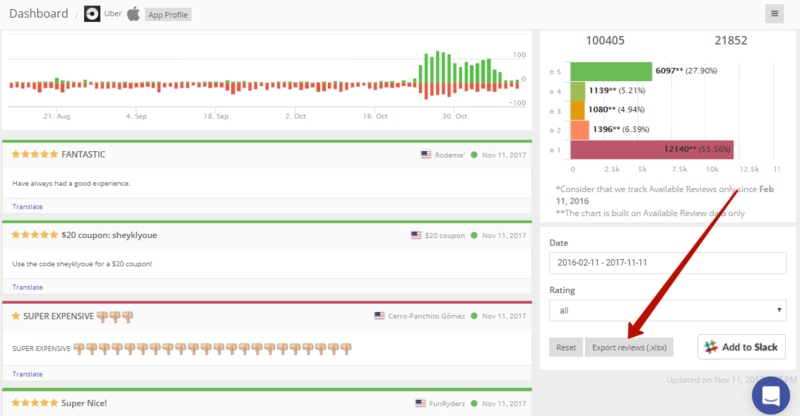 So you will get all reviews, the data from stores. Then click on the tab "Export reviews". 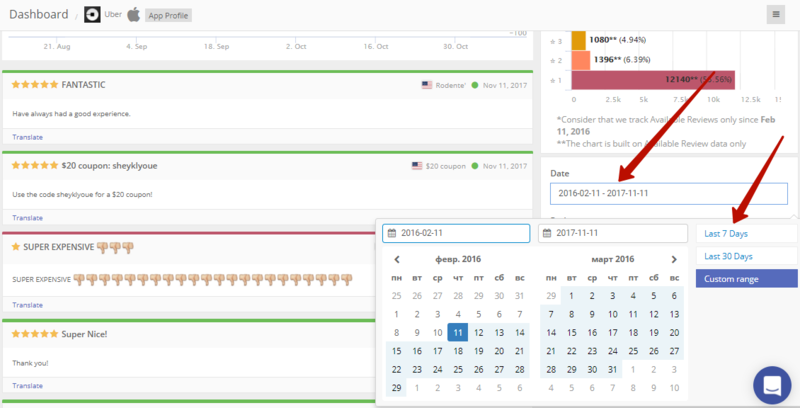 Now you can see the reviews on your app for the entire period of its existence in the excel document. You can also specify the period for which you need reviews.